Occasionally, modern Pagans, particularly in the United States, include aspects of Native American spirituality in their practice and belief. This is for a variety of reasons–some people are descended from the many tribes that are indigenous to North America, and so are paying homage to the beliefs of their ancestors. Others, with no discernible genetic link whatsoever, find themselves drawn to Native American beliefs simply because those practices and stories happen to resonate with them on a spiritual level. It’s impossible to write a summary of Native American spirituality that encompasses all the aspects of the belief systems–after all, there are hundreds of tribes, from all over North America, and their beliefs and practices are as varied as they were. A tribe in a southeastern mountainous area has very different elements to their beliefs than, say, a tribe from the plains of South Dakota. Environment, climate, and the natural world around them all has an impact on how these beliefs have evolved. Most Native American belief systems include creation stories—that is, not only stories of how humankind came to exist, but also of how the tribe came to be, and how man relates to the cosmos and the universe as a whole. An Iroquois tale tells of Tepeu and Gucumatz, who sat around together and thought up a bunch of different things, like earth, the stars, and the ocean. Eventually, with some help from Coyote, Crow, and a few other creatures, they came up with four two-legged beings, who became the ancestors of the Iroquois people. The Sioux tell a story of a creator who was displeased with the people who originally existed, so he decided to create a new world. He sang a number of songs, and created new species, including Turtle, who brought mud up from under the sea to create the land. The creator reached into his pipe bag and brought out the animals of the land, and then used the mud to create the shapes of men and women. Native American religions often honor a vast array of deities. Some of these are creator gods, others are tricksters, deities of the hunt, and gods and goddesses of healing. The term “Great Spirit” is applied often in Native American spirituality, to refer to the concept of an all-encompassing power. Some Native tribes refer to this instead as the Great Mystery. In many tribes, this entity or power has a specific name. There are a number of spirits that also take their place among the Native American belief systems. Animals, in particular, are known to have spirits that interact with mankind, often to guide people or offer their wisdom and other gifts. For many Native American tribes, both in the past and today, a vision quest is a crucial part of one’s spiritual journey. It is a rite of passage that marks a significant change in one’s life, and often involves communing alone with nature, connecting with the inner self, and typically includes a vision that is both personal and to be shared with the community at large. This may include sun dances or sweat lodges as part of the process. It's important to note that these types of practices can be disastrous if led by someone who has no training, as evidenced by the case of James Arthur Ray, a non-Native self-help guru who was charged with manslaughter following the October 2009 deaths of three people during one of his Spiritual Warriors retreats. The term “shamanism” is an umbrella term used by anthropologists to describe a vast collection of practices and beliefs, many of which have to do with divination, spirit communication, and magic. However, in the Native American community, the word is rarely used, because it is typically associated on academic level with Indo-European tribal peoples. Instead, most Native tribes use the phrase “medicine people” to refer to the elders who practice these sacred rites. Many modern medicine people will not discuss their practices or beliefs with non-Native American individuals, simply because the rites and rituals are sacred and not to be shared commercially. It is not uncommon to see a strong sense of reverence for the ancestors in Native American practice and belief. As in many other cultures, ancestor veneration is a way of showing honor and respect not only to the members of one’s own family, but to the tribe and community as a whole. Cultural appropriation is a term that refers to, quite simply, the appropriation of one culture’s practice and belief system by another, but without the true cultural context. For example, NeoWiccans who integrate totem animals, vision quests, and sweat lodge sessions as an homage to Native Americans–but who are not Native Americans themselves, and do not understand the usage of those practices on a cultural level because of it – could arguably be accused of cultural appropriation. For more on this, and the way that different people view this issue, be sure to read Cultural Appropriation. 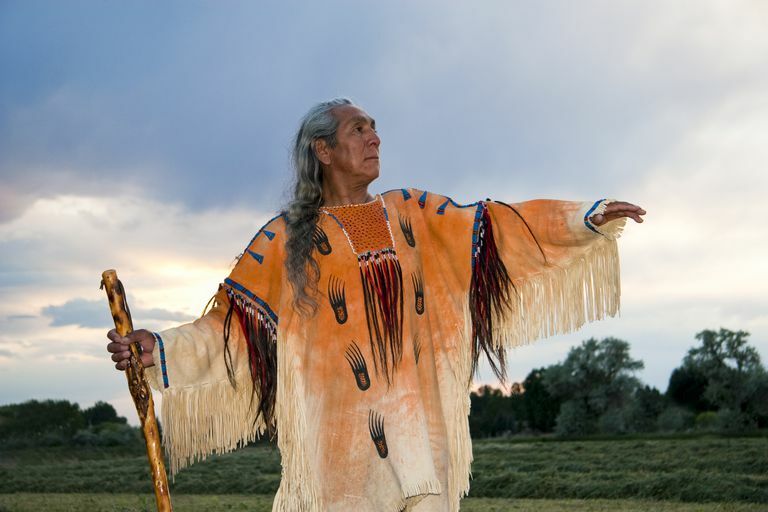 A great article warning about what to look for if you’re a non-Native who is interested in learning about Native American religions can be found here: Native American Religion. What is the Asatru Pagan Tradition?